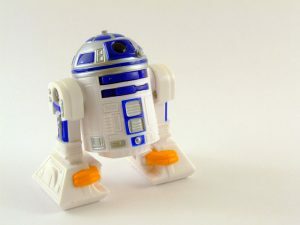 I took my first toy photograph on the 18th September 2006. It was a pretty poor shot of R2D2. Bad colour cast, poor lighting, uninteresting, but hey, it was in focus! For some reason it has 8 faves on Flickr, and Flickr user “don solo” even said it was a “nice macro”. So I’ve been doing this a while. Flickr even tells me that don solo’s comment was from over 9 years ago. So, how have things changed since then? For one, there are a lot more people that would call themselves toy photographers! Very few people are still active from the toy photography Flickr groups of 9 years ago, but the surge in popularity of social media has uncovered an immense amount of new photographers, and a lot of those photographers like pointing their cameras at plastic objects. More photos does mean more junk of course, but photo quality is a bell curve. The more photos there are, even if only a tiny percentage of those are great, means there will be more great photos. Back in the “old days” you could stick a Stormtrooper in front of your camera and you’d end up on the front page of Flickr just because no-one else was doing that sort of photography at the time. Thankfully it takes a lot more to get noticed these days. Retweets, likes and favourites have made it easier than ever for interesting photographic ideas to get in front of people that have the power to do things with those ideas in the real world. Gallery owners, advertising agencies, book publishers, etc. Now is a good time to be a toy photographer, events and exhibitions devoted to showcasing toy art are popping up quite frequently. I have resisted the urge to prune my Flickr stream and remove some of the old photos from almost a decade ago, everything I’ve ever uploaded is still there. I look at my first photos occasionally to see how I’ve improved. I can see the time I found out about white balance, I can see my experiments with artificial lights, and the jumps in quality moving from a compact camera to DSLR and from lightbulbs to flashes. Everyone has their own journey, and it’s interesting to see the paths others have taken too. I often wonder if there was a toy photography community before the arrival of the Internet. I started at just the right time. Access to affordable digital cameras, high-speed Internet and very few people specializing in macro toy photography. My first toy photograph. You have to start somewhere! Woo! 10 faves now :) Thank you (and Vesa for the other one).